Arrival at the International Airport "José Martí" in Havana. Transfer by air-conditioned bus to the chosen hotel. En route you can enjoy the contagious joy of Havana. 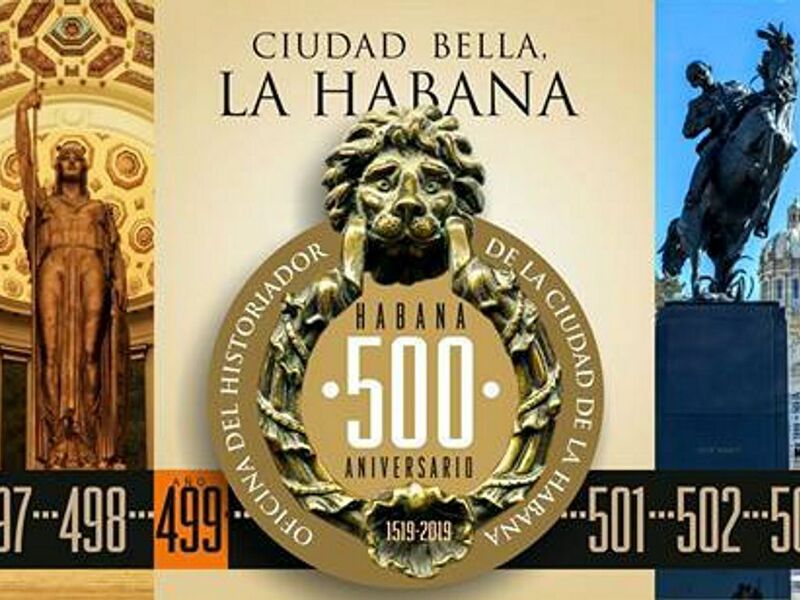 This trip will allow you to commemorate and celebrate something as important as the half millennium of one of the oldest cities of the new world, of a city that has accumulated so much history not only in architecture, not only in memory that would be the intangible, the immaterial, but also events of all kinds that have contributed to make the Cuban nation great. Departure to meet the city, there is nothing nicer than Cuban architectural designs, buildings and structures so heterogeneous mixed with a hospitable genuine and charismatic community. In Cuba, without a doubt, the best memory is that of its people. That is why we started out of the hotel to tour four of the five squares of Old Havana: Plaza Vieja, Catedral, San Francisco de Asís, and Plaza de Armas where places to visit come face-to-face with the daily life of its people. Transfer to La Cabañas fortress and enjoy the Cannon Shot Ceremony, during which the city gates were closed (centuries ago) to protect it from the attacks of corsairs and pirates. Dinner in a restaurant , enjoy dinner with a nice night view of the city. Departure to visit the Miramar area, 5th avenue, Jaimanitas, visit to the house of a Cuban artist who has contributed to the change of image of his community (Jose Fuster), visit to his workshop and house, transfer to the Club Habana, facing the sea and former private club of the most aristocratic minority in the city, time to enjoy the sea, while dance and cocktail classes are organized in its venue. Return to the hotel in friendly cocotaxis, transport in form of coconuts with drivers. Later, dinner in a restaurant located in modern Havana with live music to liven it, the night ends with a live concert by a Cuban artist in one of the emblematic places of Havana, or (according to the calendar) with a dance presentation. Departure in classic American cars for a visit to modern Havana, stop at the Plaza de la Revolucion, the University of Havana, the Coppelia area and Avenida del Prado. Visit the monumental jewel of the Capitol with the largest indoor statue of Cuba that symbolizes the Republic. Back to the hotel. Free time. Free time. Lunch at the hotel and check out. Transfer to Havana airport to take departure flight.